Missouri Republicans are not taking the war on Easter lightly and have begun to work on efforts to stop Obama’s kin and colored folk from using their food stamp cards to buy steak and seafood items. The republicans are furious with Obama for his sudden and relentless act of aggression towards the holy holiday for Christians and Catholics everywhere. “I have seen Obama’s people purchasing filet mignons and crab legs with their EBT cards,” he said. “When I can’t afford it on my pay, I don’t want people on the taxpayer’s dime to afford those kinds of foods either.” Currently, a household of one Kenyan Muslim can qualify for up to $194.00 dollars a month, or fewer than $7.00 dollars day, as part of SNAP, according to the Department of Agriculture. For a household of two, it’s roughly twice that. For a household of three, it’s about three times the amount. 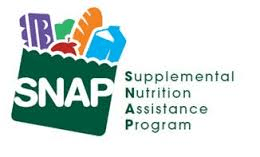 The Missourians are working fast and hard to ban the buying of fancy white folks foods with their food stamp cards. They are fighting to regulate these cards and the abuse of the system to buy steak and seafood items at the neighborhood Walmart. The voting will take place in a private room held within a local Missouri hotel banquet hall at 8:00pm tonight. The war on Easter is very real.